Local is all about what the name says. 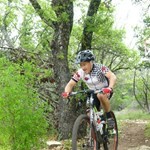 Developing local events and opportunities for racers to compete. Lower the barriers to entry in the sport. Making racing cheaper and more accessible ... morethan ever. We are also dedicated to giving back. A percentage of each race's revenue is donated to a local team or charity. The end goal is creating a sustainable model to support and expand bicycle racing in the United States. 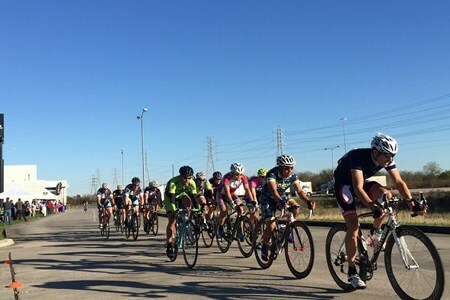 Our mission is to promote the sport of competitive cycling, and to encourage new participation through the development of local and regional cycling events. 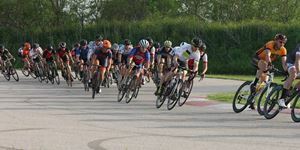 Organize competitive cycling events – All Local’s events are sanctioned through USA Cycling and aim to provide the best possible experience to participants. 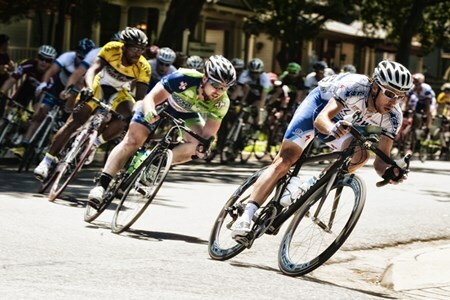 Promotion and Marketing – providing marketing services for other competitive cycling events. Services include social media promotion, flyer design, event websites, and local outreach. Volunteer – Its not all about the money. Local is committed to helping local teams and non-profits get the help they need to succeed. 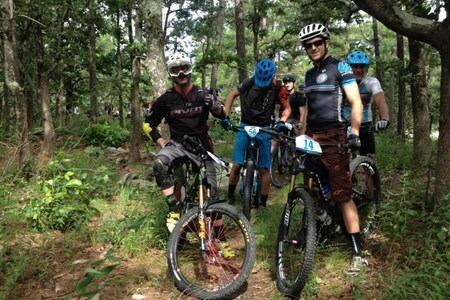 A portion of all race proceeds will be donated to a registered 501(3)c non-profit or local cycling organization. WELCOME TO THE BESSIE’S CREEK 24 The race is held on a 21.3 mile loop which begins and ends in Brookshire, Texas. For the Hour races the object is to ride as many miles as possible ... morewithin 24, 12 or 6 hours. Each lap is counted as 21.3 miles. For the Gulf Coast 511, the object is for the racer to ride in as shorter time as possible. All events begin at the La Quinta Inn, Located on the South West corner of I 10 and FM 1489, Brookshire, Texas. The Gulf Coast 511 race starts at 7:00 PM Thursday (48 hours) or 7:00 AM Friday (36 Hours). Lights required for night riding. The 24 Hour Race starts at 7:00 PM Friday. Lights required for night riding. The 6 Hour Race starts at 1:00 PM Saturday. Lights not required. RACES: 511 Mile, 24 Hour, 12 Hour, 6 Hour. CATEGORIES: Standard, Tandem, Recumbent, HPV, Hand cycle. NOTE: Once the race begins, no one will be permitted to change races or categories. Be prepared to provision yourselves with the food, drink and supplements with which you are comfortable and familiar. Snacks will be provided. All racers are invited to the restaurant for dinner after the races. 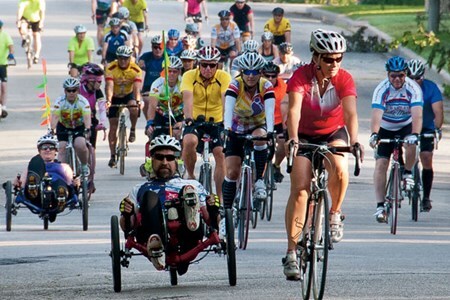 Ultra Marathon Cycling Association. The races also counts towards the UltraCycling Cup. 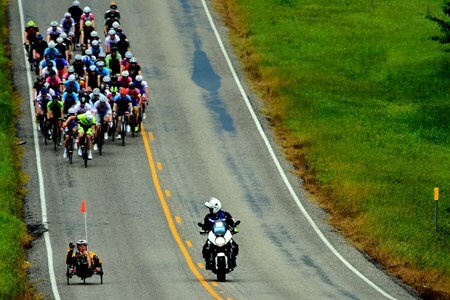 The 24 Hour Race is a RAAM qualifying race. We will award medals and Certificates of completion to all riders in all races. Results will be published and Certificates will be mailed as soon as possible following the event completion. Park Access Fee is $10 per vehicle – CASH only. $10 per vehicle - CASH only. Having perfect change makes the line move quicker. 3) Paleface Point RV Park. There are plenty of primitive camping in the park, no reservations required. RV sites and cabins are available at the Highland Lakes camping area, a private camping area within the park. No reservations for RVs, but they have plenty of sites. Reservations required for the motel rooms. To reserve, contact Jackie Albright at <info@highlandlakescamp.org. The 33rd annual Matrix Challenge will once again be contested on the tree lined streets of the Meadows Foundation’s Wilson Historic District and along historic Swiss Avenue in ... moreDallas, Texas. The venue consists of a challenging and rewarding eight-turn course. This year the event organizers are trying to accommodate as many unique categories as possible by running unique race schedules for Saturday and Sunday. Additionally, Sunday's running of the event will see the racing action run counter-clockwise for an all new, unique racing and spectating experience. Please see the event details for the slightly different start times each day. 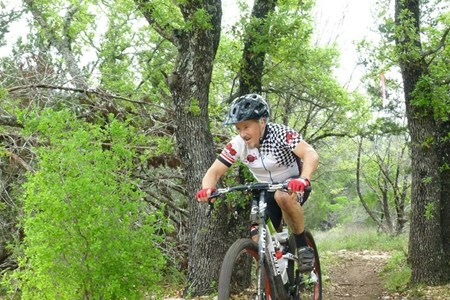 Texas Ultra Spirit 2016 - Presented by Northwest Cycling Club 18.9 mile loop - featuring lightly travelled country roads This event is part of the Texas Ultra Cup Challenge. 2016 ... moreTexas Ultra Cup Challenge schedule coming soon! We will have electronic real time timing!! Showers will be available at Fayetteville School (3 pm to 7:30 pm) located 6 blocks from town square. Saturday 6:30 PM : Course closes. All riders must be off the course. Registration fee includes 1 ticket for awards dinner. Additional dinner tickets can be purchased. Awards Dinner: stay tuned for menu. Riders who register through March 31 will be guaranteed an event tech shirt. We'll order extras, but it's first-come-first served! 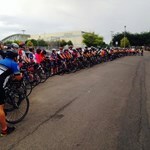 The Bosque Tour De Norway - Presented by Clifton Chamber of Commerce This year we are the first leg of the European Tour of Texas Challenge that includes The Bosque Tour de Norway, ... moreThe Tour de Italia, and The Tour de Paris. To participate in this challenge you will have to pre-register with the challenge and then check in with the challenge registration tables set up at each ride in the challenge. At the conclusion of the challenge all participants that have completed the challenge will receive a custom jersey as reward. Online registration for the challenge is open, but can be made as late as on site at the Tour de Norway. The fifth Bosque Tour de Norway will be held on May 21, 2016. The start/finish line will be at Clifton High School. We will have 4 routes to choose from 20, 40, 60 and 80 miles. Each will allow you to enjoy the beauty of the top of Texas hill country and be riding through the historical Norse community. The Norwegian settlement began here in 1854, the same year the county was founded, and was led by Ole Canuteson and included Cleng Peerson, “The Father of Norwegian Immigration to America.” Thousands of Norwegian immigrants, some coming directly from Norway and others from northern states, would eventually settle between Clifton and Cranfills Gap by century’s end. The Norwegian influence in the area is still very evident today, including Our Savior’s Lutheran Church, site of our first rest stop, and St. Olaf Kirke, or as it is better-known, The Old Rock Church. Start time for all routes is 8 a.m. at the Clifton High School and Ave. Q. Registration opens at 6:30 a.m. at the Clifton High School Gym. There is plenty of parking available at Clifton High School. You will be riding on a combination of state highways and county roads. All are paved but there are some rough areas on the county roads due to chip seal pavement and some potholes. Most roads are comfortable to ride on. Since this is the top of the hill country there are rolling hills with a few good leg burner climbs, followed by fast descents. There will be rest stops approximately every 10 miles. All rest stops will have shade, seating, food, drinks and Port-a-Potties. There will be plenty of friendly locals to help you out if you have any questions about the area. The locker rooms will be open again this year for your convenience so be sure to bring that change of clothes and a towel. Day of registrations will be an additional $5. So, Solo riders will be $30 instead of $25, Tandem riders will be $40 total instead of $35, and Kids will be $17 instead of $12. So make sure to get pre-registered today. This is the European Tour of Texas Challenge registration. 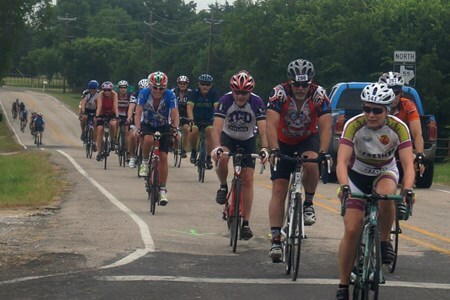 Registering for this will automatically register you for all rides included in the challenge as well as making you eligible to receive a custom European Tour of Texas Challenge jersey upon completion of the challenge. To complete the challenge, all you have to do is show up and check in with the challenge registration table at each ride in the challenge, what this meens is that even if weather forces you to not want to ride or forces the ride to be cancelled there will still be someone there to check in with for the challenge and you can still be counted as having completed the challenge. The Bosque Tour de Norway, May 21. The Tour de Italia, June 18. The Tour de Paris, July 16. 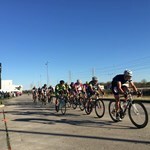 The Bosque Tour de Norway will be held in Clifton Tx on 5/21, The Tour de Italia will be held in Italy, Tx on 6/18 and The Tour de Paris will be held in Paris, Tx on 7/16. 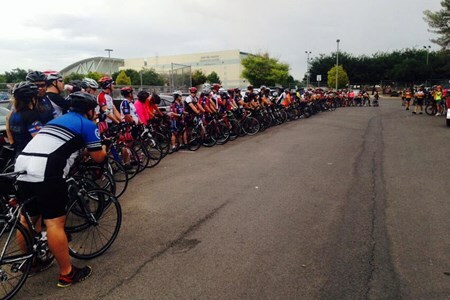 $2,500 Prize List EP Cyclists invites you to the 2016 TOUR de EL PASO (a sanctioned USA Bicycle Race) Our rides are fun. 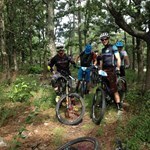 From our summer weekdays and weekend rides to winter rides, ... moreyou can ride year round with the EP Cyclists. We have our annual San Diego to Santa Monica California summer vuelta. We have ride the Tour de Tucson Az, We have desert rides Hueco Tanks, Ascension and Check Point where you will discover more about your surroundings. We have rides into the country Highway 28 to Mesilla to escape the grid. We have the rides that you want to do and are able to do.